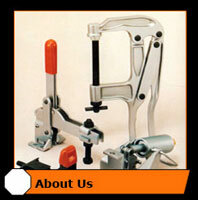 We are a Michigan based company that manufactures and sells toggle clamps. Used in welding fabrication, carpentry, construction, milling and hundreds of other applications, toggle clamps are manufactured to meet basic or very precise conditions. 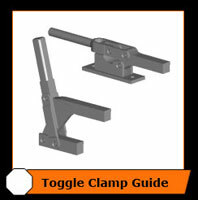 You can purchase clamps and clamp accessories here on our website. New customers will get set up in our system and may shop with tax-exempt status. Please Contact us with any questions on purchasing.